You’ve finally found that agency. Hours and hours of research and referrals have led you to the digital marketing agency you believe that will share your passion and help build your dreams. Even the famed Steve Jobs wanted his old dear agency when he was reinstated as the CEO of Apple. That is the bond between a person who has a vision (entrepreneur) and the people who help build it (agency). 2. It’s going to be a smooth, progressive journey with your agency with no space for misunderstanding. The big A word of digital marketing. You don’t have to be a thick-framed spectacles adorned geek, knees deep in huge incongruous data (the agency will have such people anyways). However what you can try to do is get a basic, even surface level understanding of how analytics works in digital marketing. You’ll find it interesting how a clear understanding of this will help you derive some valuable insights. Simply put, it’s the percentage of people who take the desired action on your website/social media ad. Let’s say you are running a Facebook ad for an upcoming marathon. 1000 people see it but only 170 register for the event, then the conversion rate is 17%. It is a process of online advertising where you are showed targeted ads after visiting a site. For instance, you go to Amazon searching for shoes. After you come out of the app or the site, you begin to see shoe ads targeted at you by Amazon. This is remarketing. It’s a valuable tool to keep the conversation going between with the customer making him more prone to buying a particular product. Paid media in the most fundamental sense is the media that you pay in order for people to see it. It is used to promote content to earned and owned media properties. Think of Facebook, Twitter, LinkedIn helping you to boost content/website across their platform. While there are earned and owned media as well, paid media plays an integral part in a digital marketing strategy especially in terms of budget and spend. PPC(Pay per click)is a method in digital marketing in which you pay a charge each time one of your ads is clicked. That is, it’s a method of purchasing visits for your site instead of earning them organically or naturally. CPA or Cost Per Action is the amount of money you are spending on a conversion. It’s a very important metric when it comes to digital marketing. The ‘action’ that is referred to in CPA could be anything defined by you. Mostly it’s sales and leads. Affiliate marketing is one area where CPA is extensively used. Helping improve your website ranking in the search engine results page using techniques outside your website is termed to as off page optimisation. Usually it refers to link building, getting backlinks for your site from authority sites and social media. It is work in the background. It is the process of optimising your websites to rank higher on the search engine results page, with respect to relevancy. When talking about on page optimisation you are referring to both website content and HTML source codes as opposed to off page optimisation. It is important for your brand to be represented in the right way when people Google you. Online Reputation Management (ORM) is a strategic method to ensure that people find the right material about you when they do a search. It also means counteracting negative trends and content that you may not want your customers to see about your brand. Content marketing is an approach focusing on creating content which is of value to the customer and strategic distribution of the same. The goal of content marketing is to increase profitable customer action. Getting a great content marketing strategy goes a long way in building brand trust and drive customers towards your brand. 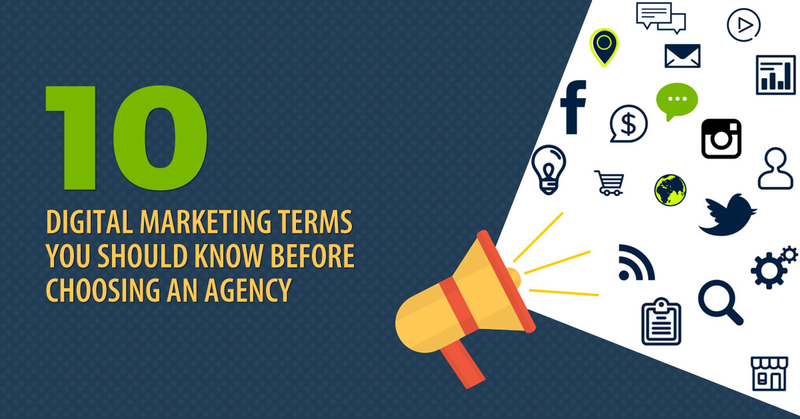 While it is okay to approach an agency with no inkling of these terms, knowing so would be good for you. And if not, don’t worry. A good quality agency also educates its clients on the process involved in digital marketing. We at Pixel Studios have been enjoying many years of great such collaborations with businesses and start-ups to drive towards the vision. Talk to us at +91 44 4266 0601/ +91 90251 13344 and let’s discuss how to take your business to the next level!